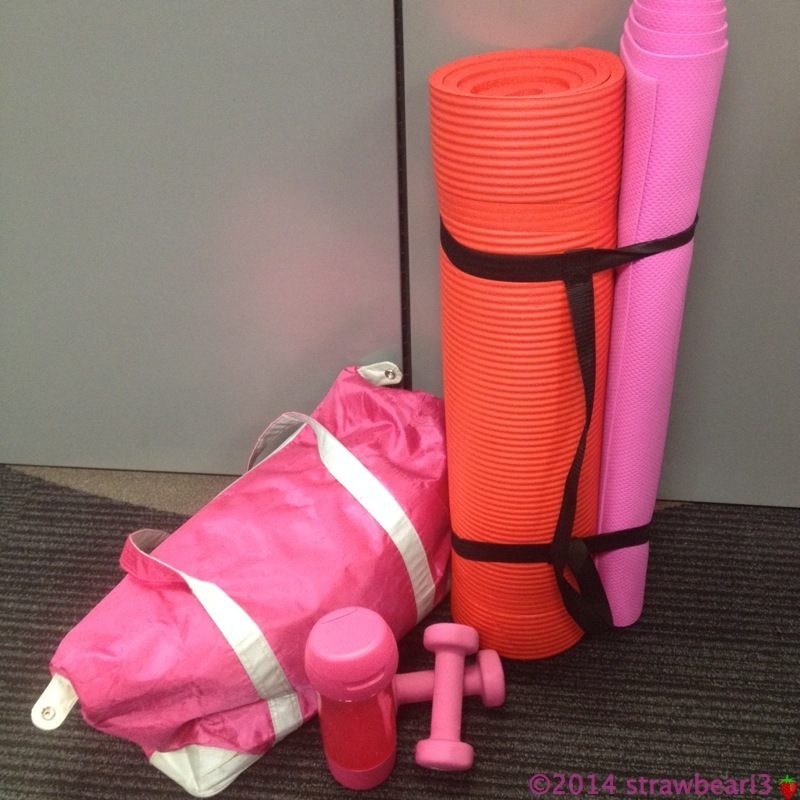 Wednesday was the first day of Global Corporate Challenge 2014. My colleagues and I formed a team of 7 to motivate each other to be more active for the next 100 days of the challenge. So, after a good workout in class, we headed down to the Valley to recharge. These photos were taken with my friend’s iPhone with the flashlight from my phone. I do apologize in advanced if the quality is not up to scratch. 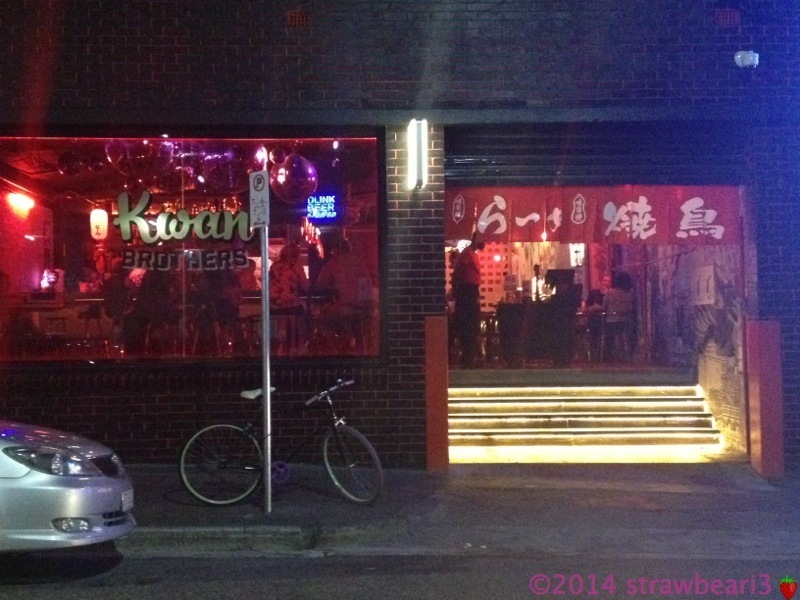 Kwan Brothers is a new establishment at Alfred Street next to Alfredo Pizza and Alfred and Constance – all owned by Damian Griffiths. It did seem a bit odd to have 3 restaurants next to each other and all competing for the same customers. Perhaps their differences in style, cuisine and atmosphere helped in drawing in the crowd and allowing people to choose what they want. 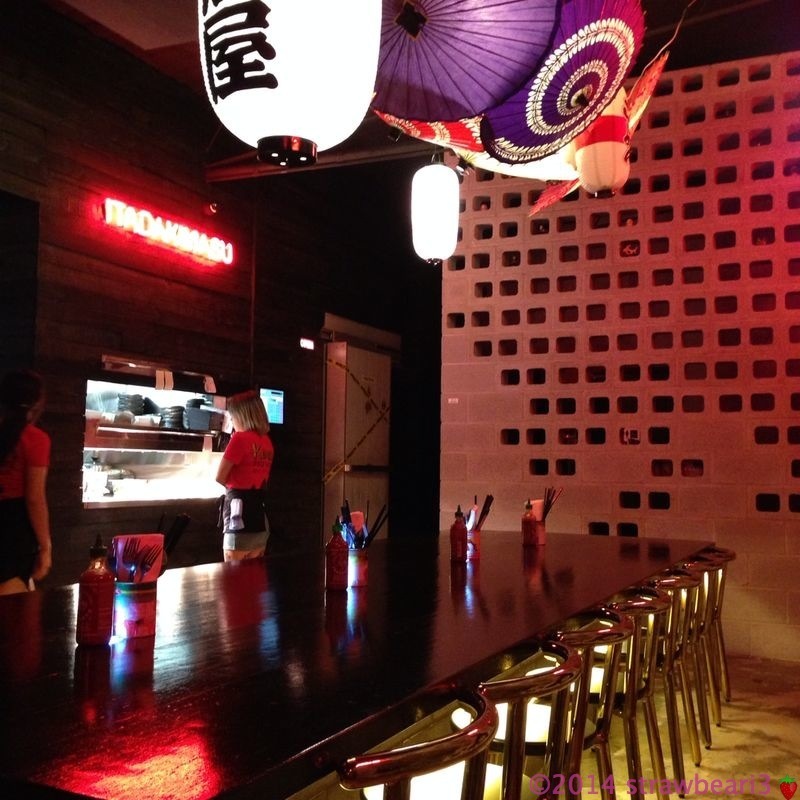 The casual Asian style dining at Kwan Brothers means share plates and dishes come in no particular order. Since we were famished after a hard workout, we ordered a bunch of dishes to share. 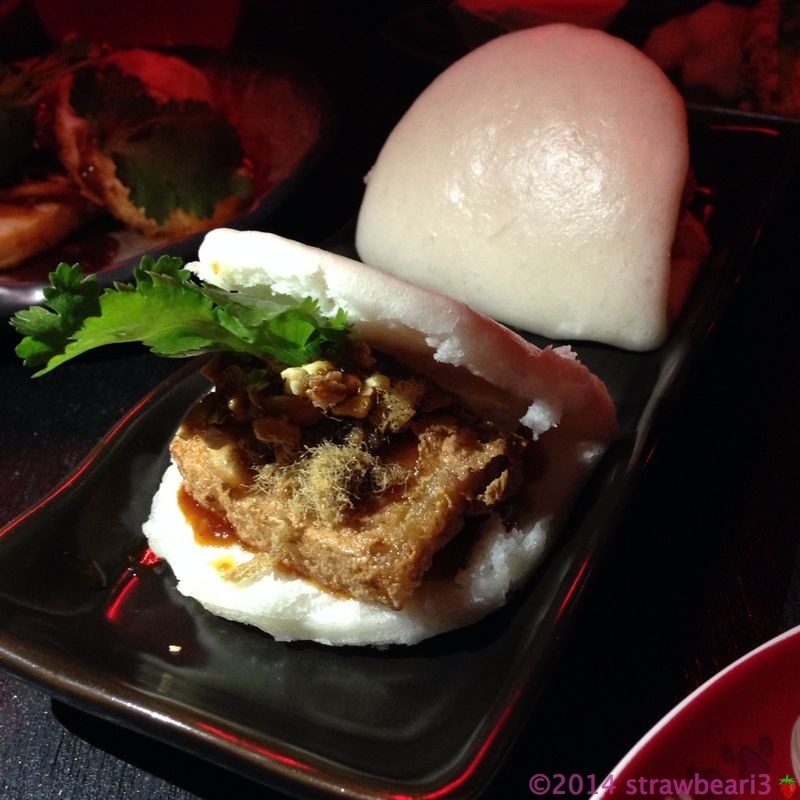 The first dish we tried was Pork Bao Bao – Yippie Yo Yippie Yay ($9.90). The name sounded fancy, but it was basically the traditional pork belly on the Asian style bun with red dragon sauce, pickled daikon, coriander and peanuts. This was our favourite dish of the day. It was so good that we asked for another serve of Fried Chicken Bao Bao on top of all the other dishes we had already ordered. 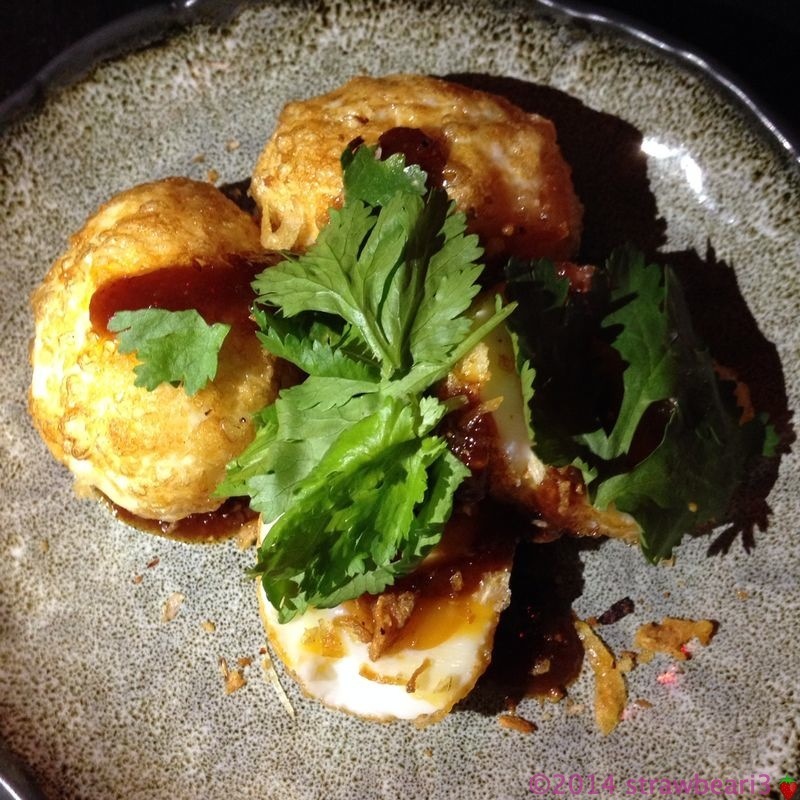 Next came Mama Kwan’s Eggs of Judgement ($8.90), also known elsewhere as Son-In-Law Eggs – Deep fried eggs with Tamarind chilli jam. I found this dish pretty average. The eggs were cooked well but there were not enough chilli jam to give it the flavour it needed. To be fair, I was comparing it with the Son-In-Law eggs from Chop Chop Chang that came with a very generous serving of sauce. 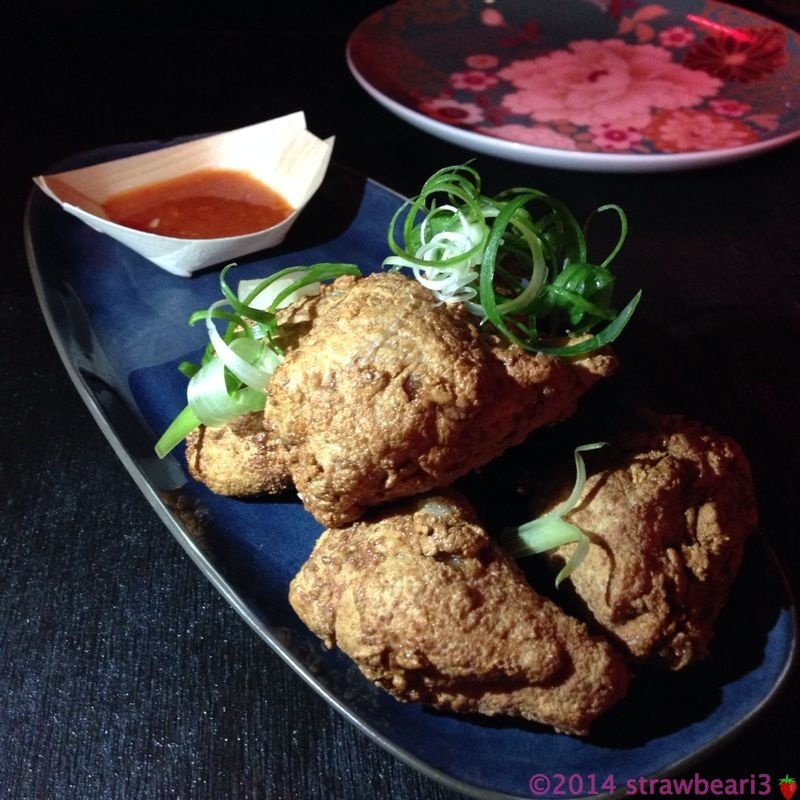 When we were looking at the menu our eyes were drawn to KFC a.k.a Kwan Fried Chicken ($14.90). These 4 pieces of chicken winglets were crispy and well seasoned. The chilli sauce was quite nice too. 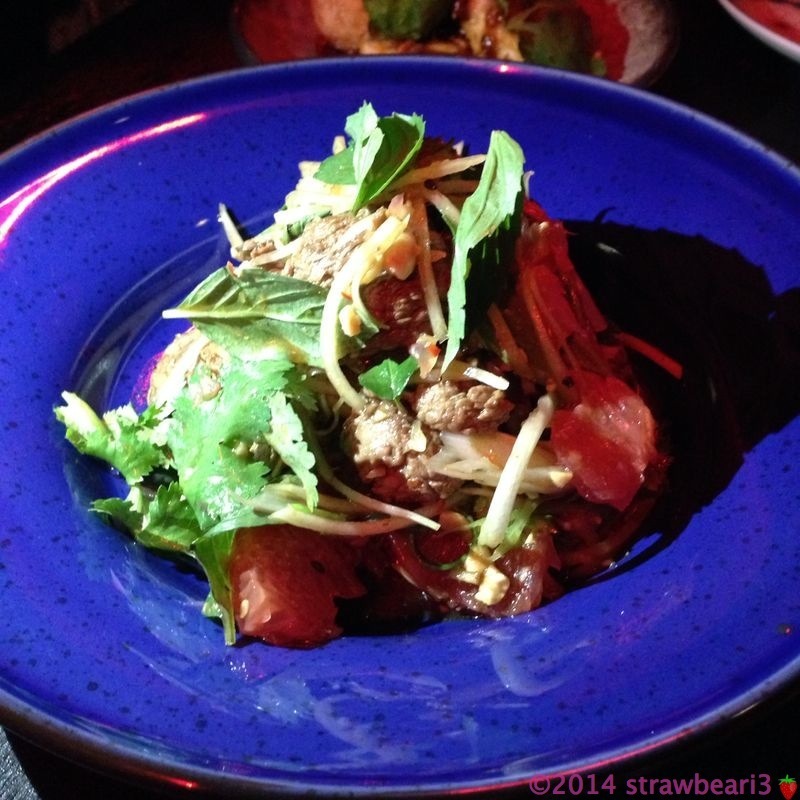 However, the Shaking Beef Salad ($16.90) with Green Papaya, Chilli, Ruby Grapefruit and Peanuts was a bit of a let down. The slices of beef were tender and well cooked. There was a good bite and crunch in the salad, but it was lacking in flavour and failed to ‘wow’ me. 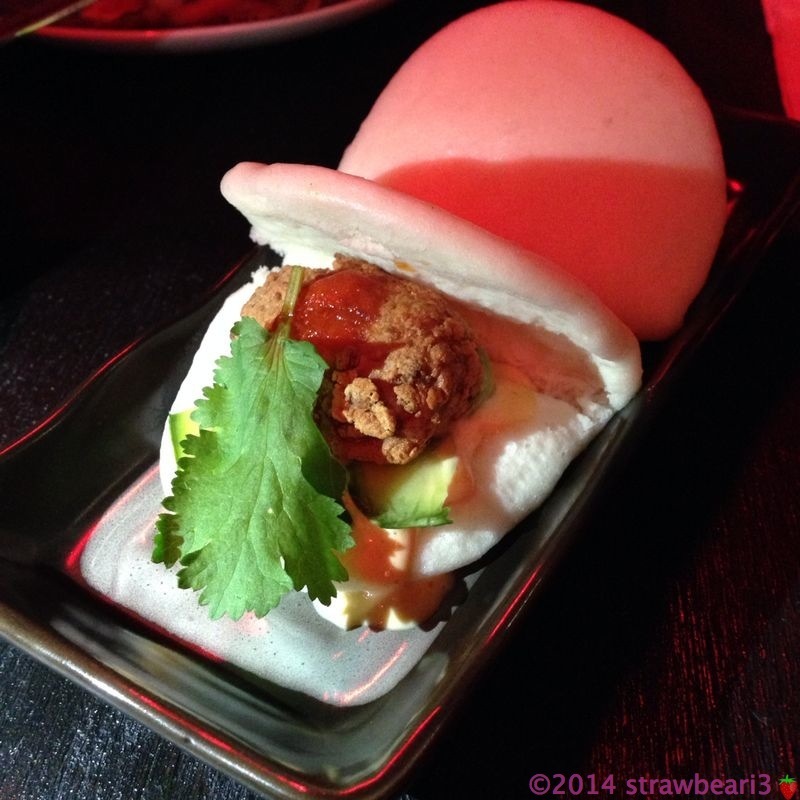 Next, our extra order of Fried Chicken Bao Bao ($9.90) – Fried chicken bao sliders, cucumber, coriander & lime chilli mayo. The seasoning on the fried chicken was very similar or perhaps the same as the KFC dish. I think we might have had too much chicken in our tummy to enjoy this dish 🙂 In comparison, we preferred the Pork Bao Bao to this. At this point we were ready for dessert. 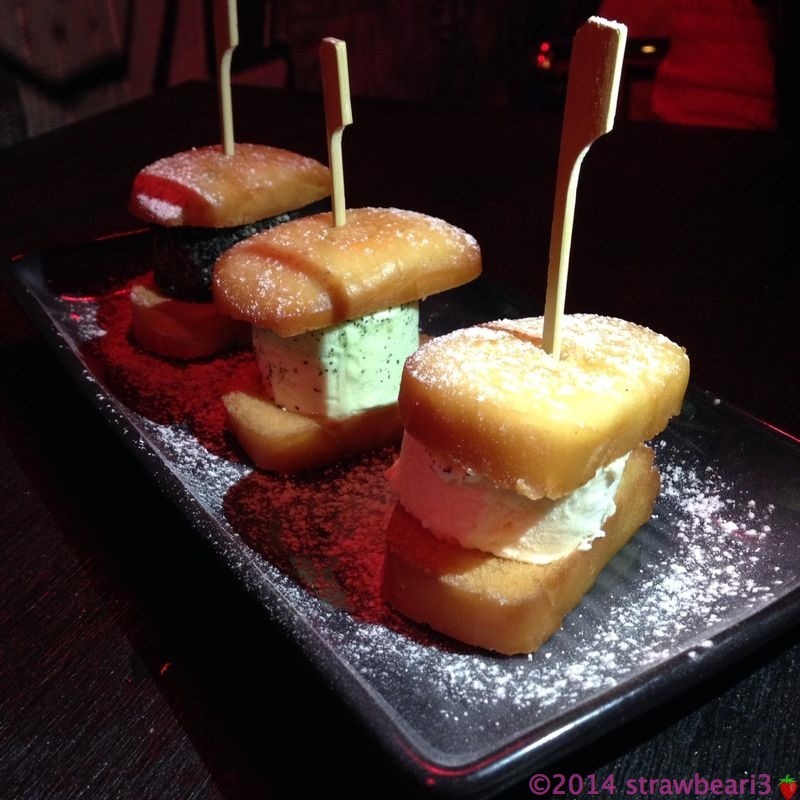 We ordered the Too Bao To Handle Too Cold to Hold ($14.90) which consisted of 3 deep fried buns with 3 different ice creams – palm sugar and ginger, pandan and toasted sesame. The pandan ice cream was my favourite. It was smooth, creamy and the flavor was just right. My friend preferred the taste of the palm sugar and ginger ice cream but we both found the texture a bit too icy. Overall we enjoyed the meal but we found the music a bit too loud to have a decent conversation. There were some good dishes that I liked, but I am not sure if I would rush back to dine here again so soon.